We’re sure you’ve heard it before that coffee blends are somehow different from single origin coffee. But what is all that fuss about exactly? What difference does it make for you? Is one better than the other? And how to choose what is right for you? 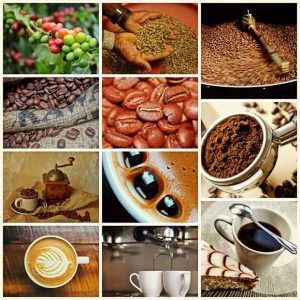 Let’s start simple: what is coffee? 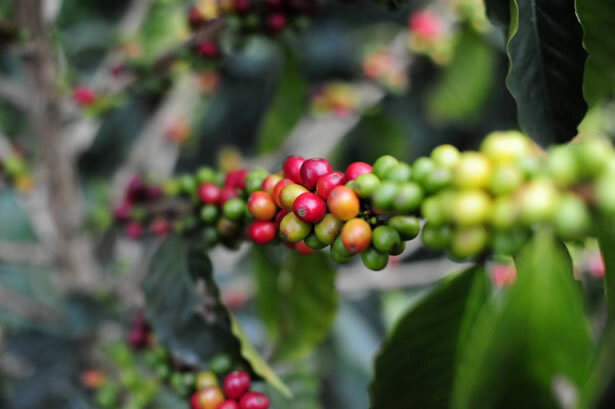 The coffee bean you brew at home is the seed of a cherry-like fruit on a coffee tree. Those seeds are then removed from the fruit, before they are washed and dried to become green coffee beans. Naturally, the coffee you drink is dark, which is determined by how those green beans are roasted. Have you ever seen “strength” on a pack of coffee? While many people think this shows the level of caffeine, it actually represents what temperature the beans have been roasted at. The higher the temperature, the darker your coffee. Simple, right? Now let’s take this up a notch. Where does the differentiation between blends and single origin come in? Well, the coffee trees we mentioned earlier grow all over the world and there’s many different types of coffee plants. So as you can imagine, no one coffee plant will deliver the same fruit. Because of this variety in coffee trees and where they grow, there’s a million different taste profiles out there. For example, a coffee from one particular region, such as Tanzania, will always taste very different to a coffee from Peru. Tanzanian coffees are often a bit fruity and more acidic than the richer, chocolatey coffees you would expect from Peru. 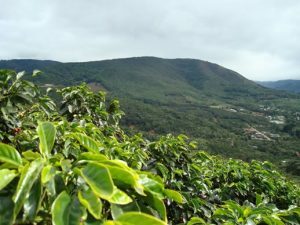 Thus we can conclude that a single origin coffee comes from one specific region in the world and will generally have a unique flavour profile. Now why does this matter? Well, as with all things, it’s a matter of taste. The beauty of single origin coffee is that you can buy a coffee for a particular flavour you like. Whether you enjoy fruity coffees, more acidic coffees, more chocolatey coffees… If you’re in the market for something specific, you can find exactly what’s right for you! So what about that favourite blend you have been drinking for years? Isn’t that good, quality coffee too? Naturally, we are happy to tell you that blends can be some of the finest coffee around! The general concept of a blend is simple: together they are better than apart. While a single origin coffee is able to highlight a specific set of flavours, a blend on the other hand is able to achieve a much broader appeal and offers greater complexity in flavour. After all, it’s a coffee mix from several areas and different trees all around the world. For example, a coffee roaster will take something like a chocolatey Peruvian coffee and add a brighter Central American coffee to create a more well-rounded, complex and altogether delicious blend. A great blend is very hard to top, which is why they are all around us in coffee shops and stores. Naturally, there’s a tremendous variety of blends available, meaning you might have to do some trial and error before you find what’s right for you. Challenge accepted? Time to cross the finish line: which type of coffee should you choose? Well it’s simple, isn’t it? Experiment and choose what you enjoy the most! There’s coffee for everyone out there and we encourage you to go out and discover your favourite. Because we all know that fortune favours the brave. Could Bitcoin really be an alternative to Fairtrade? Previous story What Were We Getting For Christmas 10, 20 and 30 Years Ago?